Buchanan, James (1791-1868). President of the United States (1857-1861). ANS, 8 x 7 in. 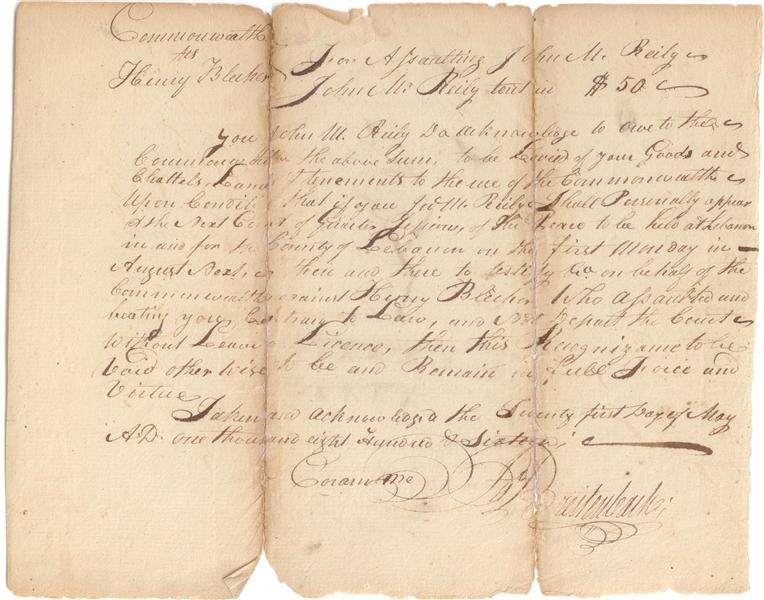 August 9, 1816. 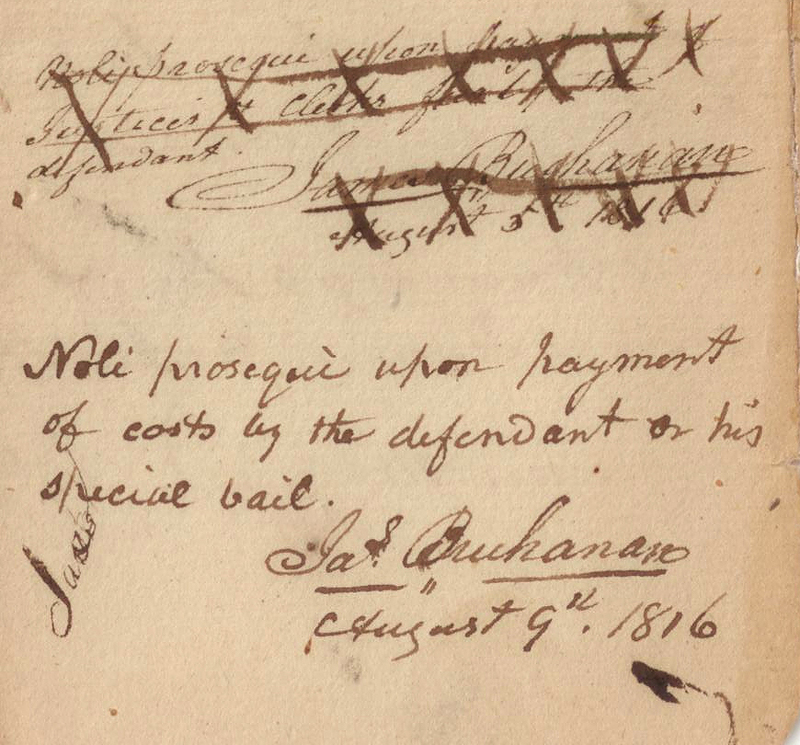 On the legal document, Buchanan writes, Note proseque(?) upon payment of costs by the defendant or his special bail. 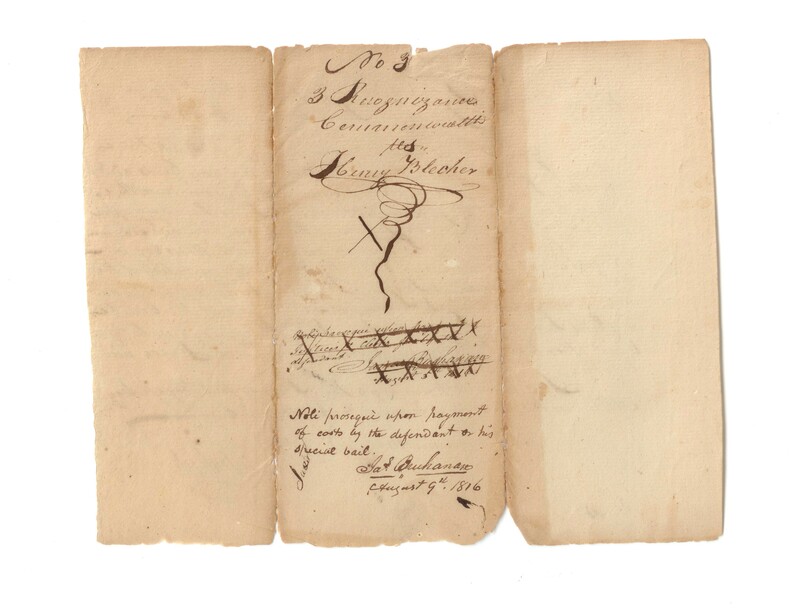 He signs with full signature which has been crossed out and then again below Jas. Buchanan. 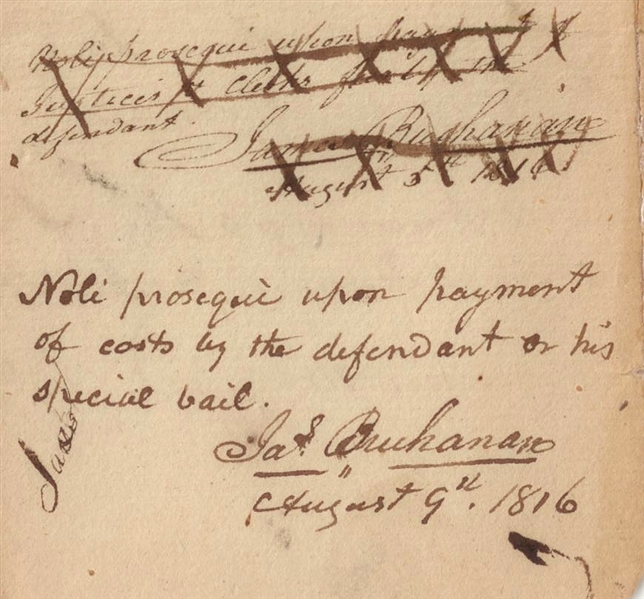 This is a rare signature of Buchanan as a 25 year old attorney.